James “Whitey” Bulger was called Jimmy or Seamus to his face, the Whiteman by his associates when they did not know if he would be around or not, and Whitey by those who heard of his reputation, especially the FBI which seemed to have a fondness for involving itself with criminals with nicknames such as “Pretty Boy.” “Baby Face,”and “Machine Gun.” When he first got out of prison he tried to go straight not wanting to be returned to the slammer so he took on some legitimate jobs such as in construction and as a court-house custodian. Despite what others have said about him, he did show up for the courthouse job and worked hard. I know that since my brother worked with him at nights. He was putting himself through law school. Among other places they cleaned were the district attorney’s office. Whitey though was not made to work in a legitimate job with a set pay for his daily bread and eventually got involved with the action in South Boston. He would team up with another tough guy named “Billy O’Sullivan” who lived in Savin Hill a neighborhood that mirrored South Boston. They would become the muscle for the Killeen brothers who were involved in the gaming and other rackets. Younger toughs in Southie who had grown up like Whitey doing tailgate jobs and clipping from buildings were forming their own groups. One, consisting of guys who had been involved in the Vietnam war, was called the Mullens. That group sought to get its share of the illegal business in Southie which the Killeens were reluctant to relinquish. Southie is a small peninsula. The guys who grow up there rarely venture out even into other parts of Boston. There is no need to do so. Anything you would want you can find in your own back yard with a beautiful beach by city standards, a getaway at Castle Island, huge fields for sports, a pub or club readily available,and tons of guys to hang out with. Because of this, all of them, both the older guys and younger guys all knew each other. The first shooting Whitey is known to have been involved in was when he, Billy O’Sullivan and Dennis “Buddy” Roach, a Mullen, and others were sitting at a table having a friendly talk that turned very serious and O’Sullivan pulled out a gun and shot Buddy who ended up being paralyzed. The street talk was that when Whitey saw O’Sullivan pull the gun he grabbed out to stop him. That just directed the bullet away from where it would have killed him to another part of his body. The Mullens had one member named Paulie McGonagle who had a brother Donald who was not involved in the dispute between the gangs. Donald apparently looked like Paulie. He was murdered while driving his car most likely by O’Sullivan in what is said to be a case of mistaken identity which is sort of hard to believe since these guys were not strangers. A short time after that some of the Mullens learned that O’Sullivan had a package on so they waited for him outside his house in Savin Hill. Neighbors saw O’Sullivan running down the street being followed by three or four men; he tripped on a sewer cover as he ran toward the Woods where he would have gained surcease from his danger. While he lied on the ground he was pummeled with bullets. That left Whitey naked against a group who had just shown that they meant business. They proved it even further when they went out to Framingham and murdered one of the Killeens. Whitey went into hiding for a bit and then arranged for a meeting, allegedly through Joe Russo one of the Mafia guys, with the leaders of the Mullens including Paulie McGonagle, Pat Nee, and Tommy King at a restaurant in the South End (not to be confused with Southie or South Boston) that was owned by Howie Winter and members of the Roxbury Group. Under the protection of the Mafia and Winter they came together and made peace. The illegal spoils in Southie would be divided half between Whitey’s group and half between the Mullens. To this day no one can understand why the Mullens did not take all of it and how they snatched defeat out of the jaws of victory. Some say their long-term friendship with Howie Winter made them respect his wishes; other say they were tired of the killing and figured half was better than the nothing they had been receiving. The “peace” was supposed to be guaranteed by Howie Winter. What was the name of Billy O’s club? What can you tell us about the Marconi Club and Pug’s Pub in Roxbury? I’m not sure he had a club. That is Martorano’s story. He said the club opened and closed on the same night so it may not have even had a name. I’m going to have to refresh my recollection on the Marconi Club. I have to go to one of my sources who hung around with these guys. Not familiar with Pug’s Pub but will see what I can find out. Hi Matt and thanks for a good article about the state of Southie when Bulger was just starting out in organized crime. Was Billy O Sullivan an associate of Stevie Flemmi and Frank Salemme? Was Joe Russo one of the guys that killed Barboza in San Francisco and was that ordered by Angiulo and Larry Baione? Martorano has a story of Billy O’Sullivan opening an after hours club, he murders Tony Veranis in the club the night it opens, O’Sullivan has to close it up for good because of the murder, but Martorano owes Billy O and that is why he agrees to introduce him to Howie. Martorano’s story of the murder of Veranis is an outright lie (Tony was shot in the back of the head and not in face-to-face encounter and was pistol whipped before being killed) so take the rest of it with a grain of salt. But to get to your question if O’Sullivan is opening a club in Roxbury he would have been in tight with the Roxbury group also. Flemmi tipped off Agent Connolly that Joe Russo murdered Barboza – he was convicted of doing it. I mean no offense, but it is obvious that you are not from South Boston or Dorchester. Russo was the trigger, and of course it was ordered by Raymond, possibly through Larry, who ordered JR Russo. There is a vast base of information to the questions you ask, they were asked and answered long ago. The answers to most of your questions can be found by going back through the archives of this Blog. I agree with Rather. Definitely ordered or at the very least ok’d by Raymond, who was sent to jail on Barboza’s testimony in the late 60s. But just as a matter of curiosity about details, I wonder if anyone knows how the orders would have been conveyed since Raymond was in jail till (I think) 1974 or 1975, and Barboza was killed in ’75. I guess I always had the impression Angiulo took up the cause on Raymond’s behalf, but of course there had to messages communicated somehow. Not that any of this really matters. Barboza was pretty much a dead man even before he decided to testify. Some Mafia leaders ran their organizations for years while in prison; lawyers and trusted visitors took the commands and saw that they were carried out. You have to keep in mind that though these Mafia leaders were in prison they often were treated with great deference by the guards. Thanks for the post Matt. By the way, I saw “Black Mass” yesterday. If you haven’t seen it yet, I’ll just say the only reason to see it is to judge the cinematography. I hate to be that person who comes out of a movie with the urge to tell everyone all that was wrong with the movie, but once I was asked by my friend what I thought, I couldn’t hold it in. It’s fiction through and through. From the very beginning, Connolly’s trying to convince Whitey to come into the fold and win the supposed war that was going on between Winter Hill and the North End, even though there was no war (though I’m sure they were happy to undercut each other). Second, if I recall correctly, Whitey is already in charge of everything in Southie in 1975, and of course we know he and Stevie didn’t ascend to the top till the race-fixing case in the late 70s. Third, and worst of all, is the scene where Whitey convinces Stevie to come on board when we all know it was most probably the case that Stevie brought Whitey on board rather than the other way around. Small matters too: his winning lottery ticket is thrown in toward the beginning as a string of examples of his luck and ownership of the rackets, even though I believe that didn’t happen till the early 90s. And speaking of timing, the movie shows the scene when Morris sits down with the Globe reporters. Next thing you know the headline is in the papers about Whitey and the FBI and Whitey’s calling Billy to tell him he won’t be seeing him for a while. Connolly is arrested and that’s that. Never mind that the mafia largely ignored that initial story and the indictments didn’t come down till ’94 or ’95. Anyway, I’m not telling you anything you and your readers don’t already know. Just venting. Sorry for the spoilers. Thanks for the outline. Sadly, I’m going to have to see it at some point. You have to figure Black Mass the book had a lot of fiction in it and the movie writers expanded on it so it becomes totally unrecognizable with reality. The true story would be so much more interesting but then Hollywood is only interested in car chases and people blowing things up and monster people or events or goofballs to appeal to their audience — that’s the idea behind modern movies which is not to tax the brains of its viewers. Do yourself a favor and don’t see Black Mass. It was a joke. You have a crystal clear view already. Thanks for the advise. I have no present intention of seeing it but may at some point see a matinee. It is written that Whitey Bulger murdered Donald McGonagle. So that is at least one murder attributed to Bulger that he most likely did not do. Also, how ad when did Bulger cultivate a relationship with Joe Russo? Joe Russo was a mafiaso for along time, no? Finally it is great observation as to HOW in the world did Whitey Bulger convince the Mullens not to kill him when he had very little to offer in return. Good question by Jerome about how Whitey knew Joe Russo. I recall reading in one of the books on this saga, might have been Howie Carr’s Hitman, that Whitey initially sat down with John Martorano requesting Murderman’s help in getting Winter Hill to intervene in the Mullens/Killeen wars. I agree that is a good question. Whitey was desperate at the time since it was the Mullens against him crowded into the small South Boston area. He couldn’t reach out to Howie since he was friends with the Mullens. Martorano has him coming to him to make the peace but Martorano would have been with Howie who would have been with the Mullens which Whitey must have known. Whitey wanted to survive and having a meet with the Mullens to make a deal had to be in such a manner that he would not be gunned down. Not being able to get protection from Winter Hill he had to go to the other big boys in town which was the Mafia. How exactly he gets to Joe Russo is unclear but it seems that story is pretty much solid given the circumstances he found himself in. He needed someone’s protection to make the peace; Angiullo reportedly was tired of the shootings, so he gave Whitey the guarantee he needed to go meet with the Mullens and leave in one piece. Donald McGonagle was not one of the 19 he was charged with. That murder could have been Whitey but it was most likely Billy O’Sullivan. Remember Whitey wasn’t carrying at the time since he was on federal probation. Whitey was able to get Howie to step in and the Mullens respected Howie much to their eventual chagrin. Good insight. Somehow and some way Whitey Bulger convinced the right people to leave him alone and not kill him. Since he didnt have much (if anything) to offer at that time is it safe to say that in some ways he was HIGHLY underestimated in terms of his capability and what he was really after? That feeds into the Machiavellian analogy used in describing White yBulger maneuver through the underworld. There had to be a likability about Whitey Bulger among these guys or at least some respect, no? I mean he must have “charmed” and made at ease some guys in teh underworld to get such a pass. Any possibility that Whitey in someway let it be known who his brother was among these guys and that influenced their decision? Of course, its also possible that Bulger did some murder-for-hires for the Italian Mob and it has never been documented (during his betrayal of Killeens)? Good comment from Jerome. I’m curious to hear what Matt has to say. I would say that, though at the time he was just a Southie hoodlum without the Italian connections, and found himself desperate to survive the street wars as he was approaching his late 30s, early 40s, he found an opening in the resolution to the Mullen/Killeen wars and found an ally in Winter Hill, and from there was able to exploit the opportunities that came along. He had matured, he had become more savvy, and he had the heart of a criminal. Perhaps when he hooked up with Winter Hill he took to Steve Flemmi and learned about an alliance with the FBI that might prove useful, like in the race-fixing case. He was a Southie hoodlum unknown outside of the area but he had all of the Killeen money jingling around in his pockets. He paid for his way into Winter Hill and became an earner. Under its protection and with the help of Pat Nee who was part of his burial crew he could eventually go back into Southie and work openly again. Howie convinced the Mullens to let him operate and he gave the Hill and Mullens part of his proceeds which, of course, he hated to do but he did need to survive. Whitey is over at Somerville in late 1972; he won’t get to meet Flemmi with whom he will eventually become a kindred spirit until 1974. He was smart enough to hook his wagon up to Flemmi who had an FBI deal. After all, he just saw the FBI get two serious felony charges including murder that were pending against Flemmi dismissed. Not a bad calling card for him to ponder. I would suggest that Whitey did not need to let everyone know who his brother was, ….it was common knowledge. You see,… perception is reality. I know for a fact. throughout the 80’s and early 90’s that this little man had such a forceful grip on a small populace and section of Boston, that it is almost unfathomable. I lived through it. It is only now,…years later in the unflinching light of truth that the perception begins to shatter. I think Whitey was afraid of the Mafia and never had the balls to leave the comfort zone provided by the Rico/Morris/Connolly crime family that he really worked for. He was mostly a Southie guy and that is where he hung his hat most of the time. During the trial Billy McDermott from the Brookline police testified he was watching the wise guys come into his town and he took pictures of them; Whitey did not even venture there because they were all of Flemmi, Salemme, and some of their associates. Rico had nothing to do with Whitey; he was a Connolly creation. It is true he had a forceful grip on Southie but he did not murder any legitimate guys who had not gotten involved in the rackets with him or others. If you did your own thing or were on the level he let you alone. As someone who lived through this era (and I am assuming you lived in Southie at the time too) is it safe to say that Whitey Bulger was not “known” by the majority of people in South Boston? 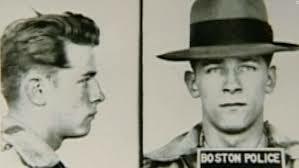 Or was it the case in which Southie was so small that darn nearly everyone knew Bulger was a career criminal, and that there were a few places to avoid because gangsters frequented them (such as Triple O’s and hte Rotary Variety Store? Did you ever see Bulger, Flemmi, and Weeks in the neighborhood? It is my limited perspective but since Whitey Bulger is Irish I dont see where he would feel comfortable nor safe trying to get in with the Italian Mafia. I am sure Bulger was well aware just how easily the Italian Mafia kills and murders their own fellow Italian mobsters. Whitey could bring money to the Hill. He was an earner so through that mechanism he got the protection of the Hill. He was sort of a loose cannon who was not someone you wanted to be on the bad side of; even though he wasn’t well liked you don’t kill the golden goose. He kept his distance was thought of as being capable (Aalcatraz gives one that) and respected. Machiavelli said it is better to be feared than loved; that if the part of the Leopard that Whitey followed not so much the deviousness although that too was there as it is in every wise guy. Whitey would have done nothing to implicate his brother in any manner. What happened in the family remained in the family. You don’t hang your dirty laundry in public. Billy Bulger was not a factor in any of this; his position could not have helped the gangsters in any way. The idea that he was related to Whitey stopped law enforcement from going after Whitey is pure and simple fiction. Whitey would not have been trusted by the Mafia to do hits for it; it had its own people plus Martorano, Winter, etc. Thats an interesting point because I could have sworn I read some where that Anguilo was caught on tape saying that Bulger and Flemmi did murders for him. It was long rumored that Bulger and Flemmi did hits for the Italian mob, no?